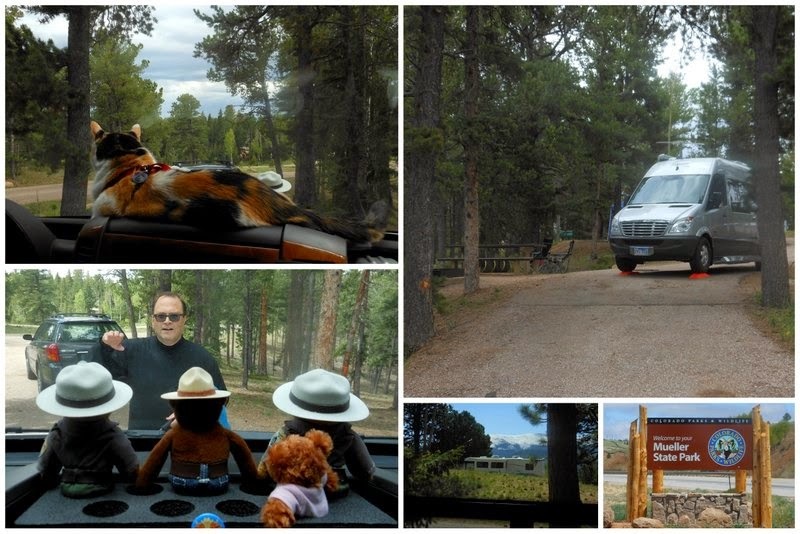 Returning to Mueller State Park on June 8 was like reuniting with an old friend. 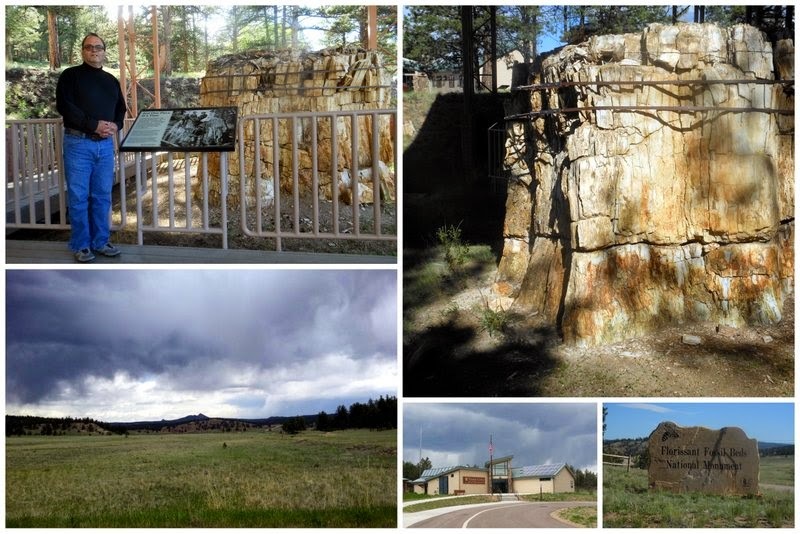 Mueller is one of our favorite Colorado state parks, and it was just a short distance from Florissant Fossil Beds National Monument. Tim went to the park each day to catalog paleontology records. This park is known for its plant fossils, whereas many other paleontology sites are known for their animal fossils. Instead of large dinosaurs, most of the fossils here are very fragile plants, although insects and mammals are present, along with petrified wood. While Tim was at “work,” I stayed behind at Mueller. This was a time to catch up on some of the projects that I hadn’t had the opportunity, or inclination, to tackle earlier. The weather was chilly, and it even snowed on the nearby peaks, but I welcomed the change from the heat we had experienced in Cortez. Kitty and I took walks in the park and enjoyed many relaxing days. 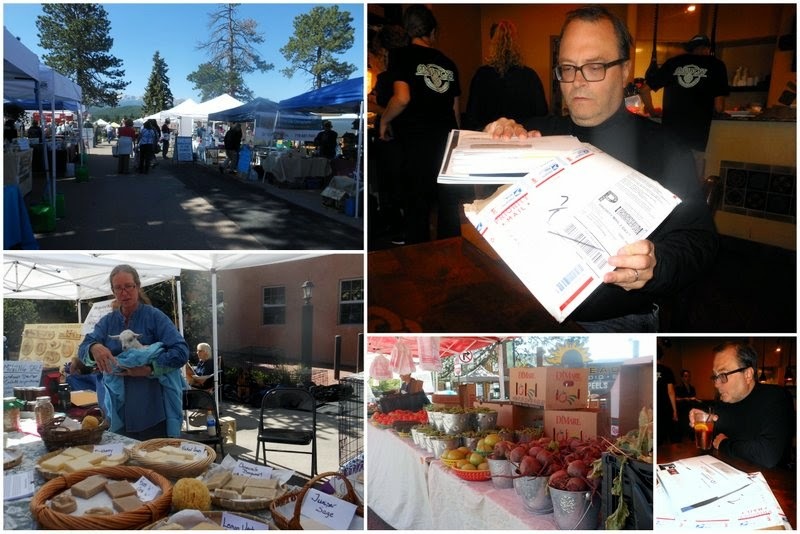 We had to move to a private RV park in nearby Woodland Park for the weekend, since there were no spots at Mueller, but this gave me the perfect excuse to visit that town’s wonderful farmers market. Although it was a bit early in the season for most fruits and vegetables, I made do with cheese, pastries and bread. Our favorite activity, however, was receiving our mail. Since we use a mail forwarding service, we only get mail when we request that it be sent. If we have an actual address where we are going to be staying, we can use that. Otherwise, a good option is General Delivery to a post office in a town with one zip code. This is what we did, and our mail was waiting for us in Divide, Colorado. It was like Christmas, especially since several unexpected checks were a part of the package. Tim and I also took a Saturday excursion into Colorado Springs to shop for clothes for the upcoming wedding and high school reunion. Amazingly, I bought the first dress I tried on at the first shop we visited. That’s never happened before! We were ready for the weekend. Aren't plant fossils amazing? They often look like works of art. Tim did enjoy working with them.